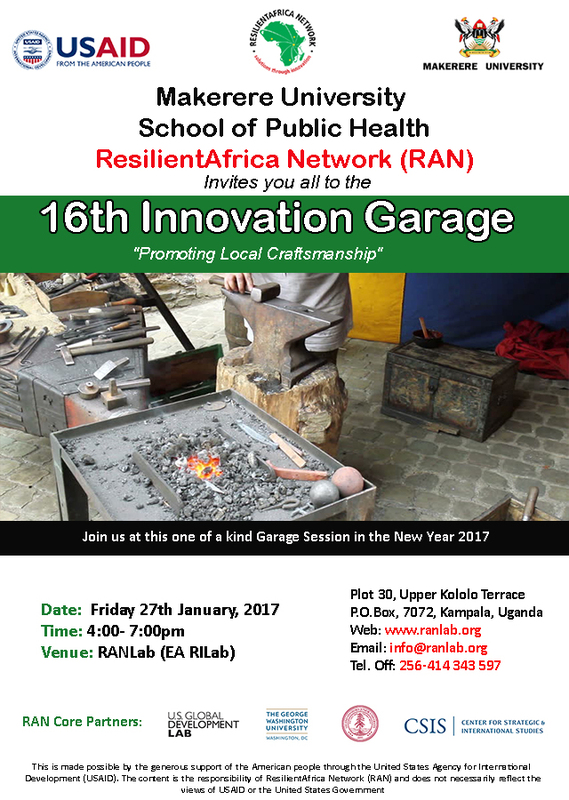 Join us again this Friday, 27th January 2017 – 3pm at the RAN Lab in Kololo for our Monthly Innovation Garage, guided by the theme; “Catalyzing Engineering solutions”. 2. BYUMA APP: Running of better tests for the BYUMA app a project that was conceptualized in the garage intending to bring the Ugandan craftsman business/market to users using mobile phones.